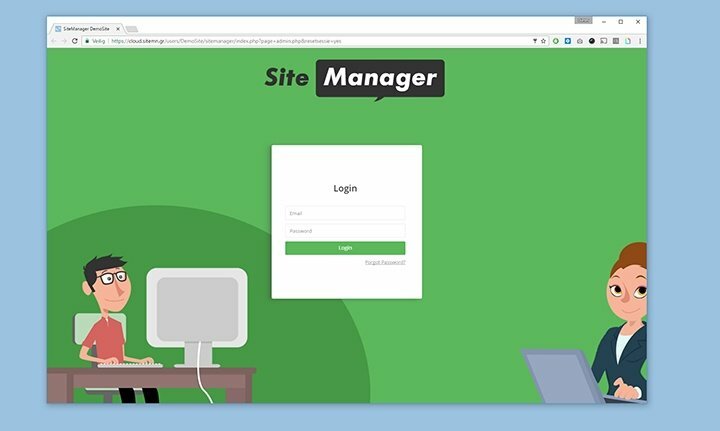 Every website you built in the SiteManager platform has it's own CMS login screen. 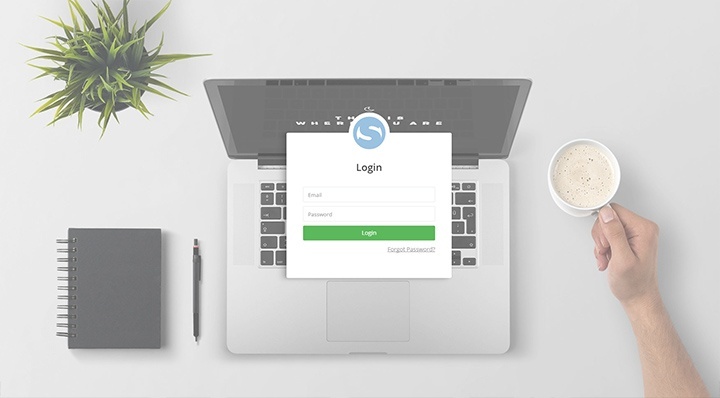 You have the option to change the background image of this login screen in two ways. First you can add a background picture to your account information. 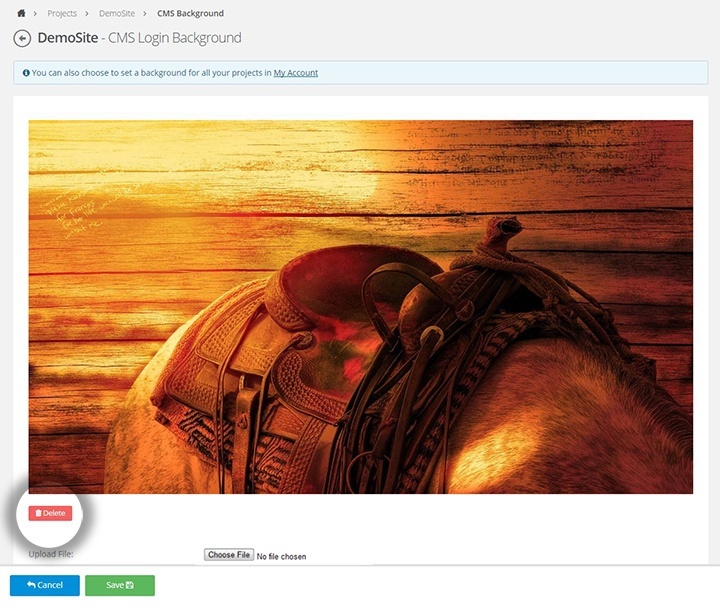 This background will now be used for the CMS login for all the projects you have created. If you want to add a custom background to a specific project only you can also do this by going to the settings page of the project. We will explain both options in this article. 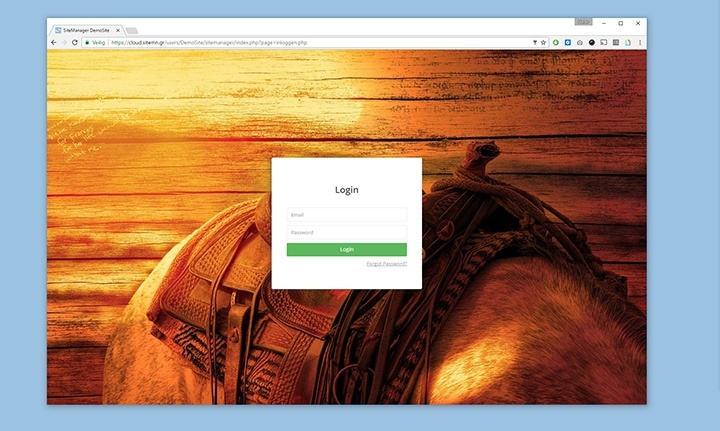 Note: The CMS login screen is not the dashboard login screen. 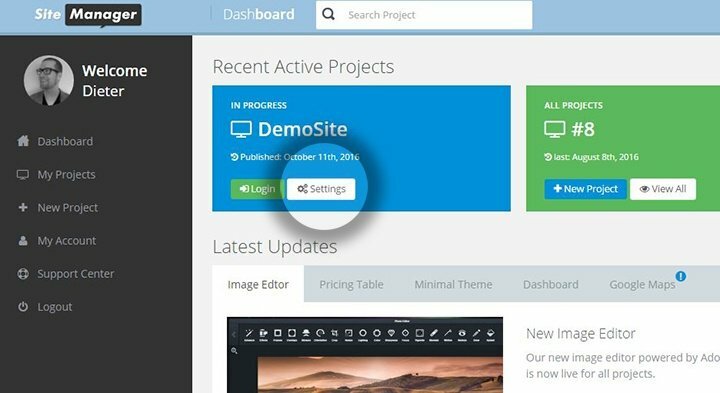 The dashboard is used by designers and developers while the CMS login is where your client goes to edit their content. 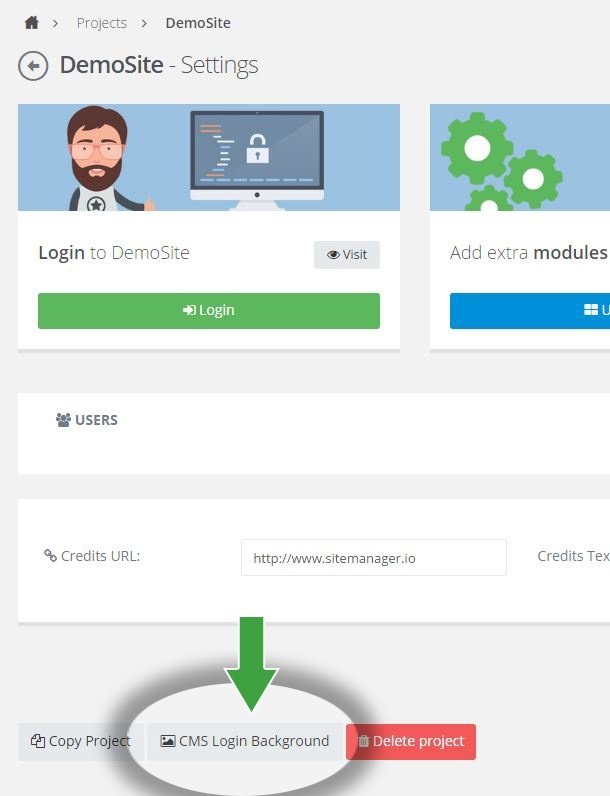 Select Custom CMS login and click Add. Once the Add-On is installed click Set Background to manage your background. After the file has been uploaded you will see it replaced the standard image. You can upload a new picture to replace your current picture or click the delete button to remove your custom background image. Click cancel to return to your Account Page. 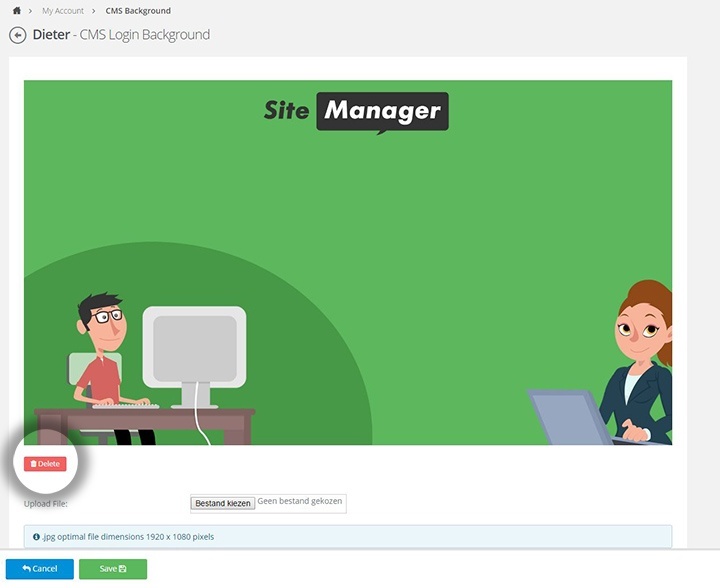 You can overwrite your standard background or the default background for a specific website. 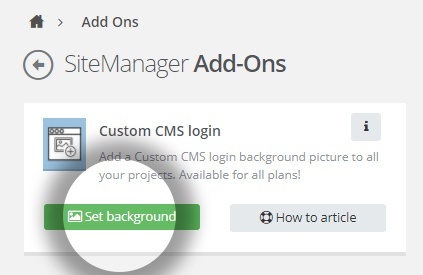 Click on the Settings button of the website project you want to add a custom background to. 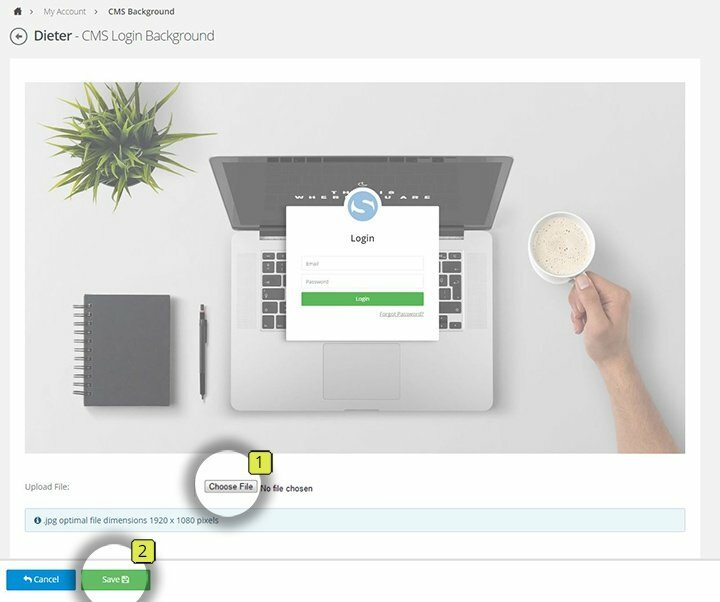 Scroll to the bottom of the page and click the CMS Login Background button. Now we are going to upload a background only for this project. After the file has been uploaded you will see it appear on your screen. You can delete it or upload a new file to replace it. Click cancel to return to the Settings page of the website.